Roger Ailes, Fox News Chairman and CEO, is a jerk. Before the arrival of Roger Ailes, television was thought to be a unifying medium — the “electronic hearth.” Mr. Ailes knew better. Mr. Ailes knew that it was the fire itself. Mr. Ailes knew that the television screen in each American home was nothing less than a battleground, and he who controlled it controlled America, no matter what the message. He didn’t even have to be overtly political, because television was by definition a political medium. 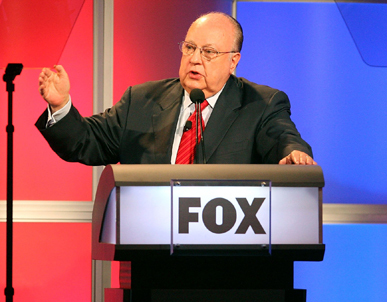 Roger Ailes could win … if the idea of a unified America lost. He could win … if his own subversive vision of America was realized. He could win … if American life became an endless, entrenched, and above all electronic argument. And you know what? Did you hear that, Mr. Ailes? Worth reading from start to finish.